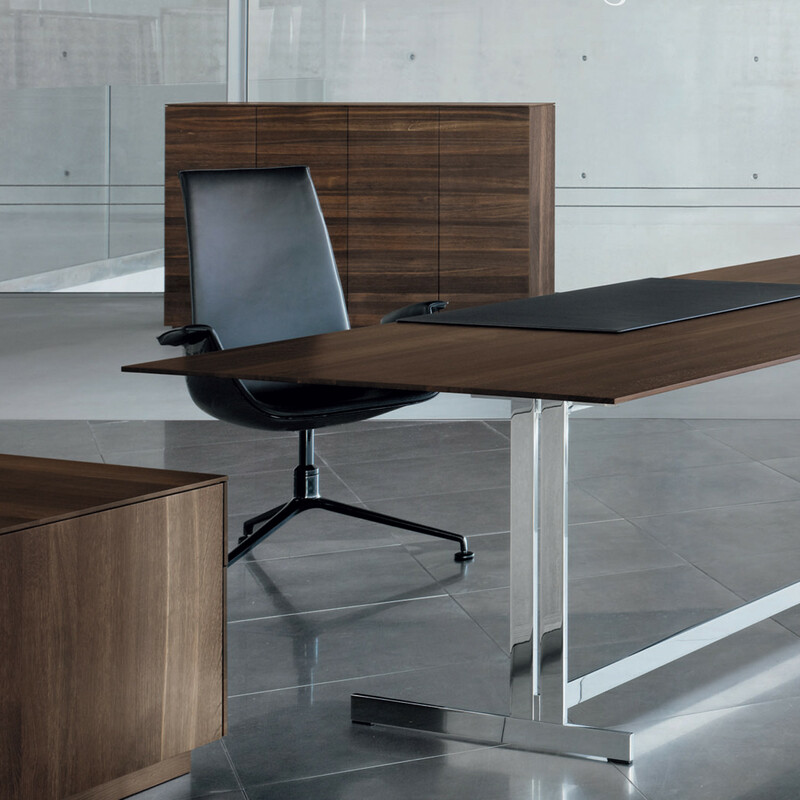 Mason Executive Desk by designer Wolfgang C.R. Mezger. 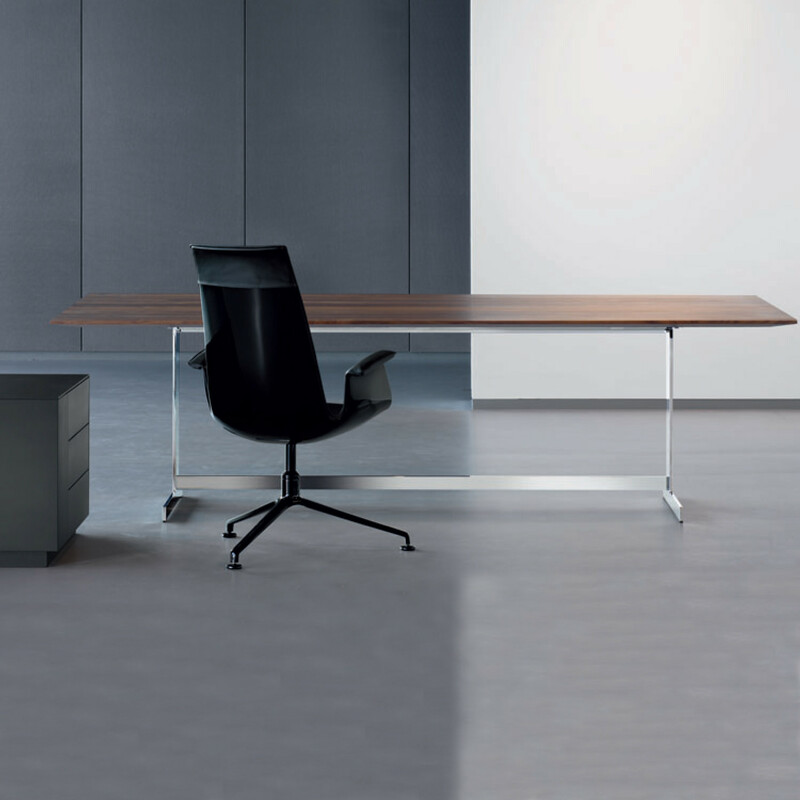 Mason supports modern executive management with its harmonious proportions and clear shape. The new Headoffice is compelling thanks to its reolute minimalism. Surface area and contours, proportion and dimension are impressively highlighted by the combination of the materials. The Frame work shows fine reflections and soft radii. The solid wood table top is authentic, origional and natural. The combination of ntural features ans striking grains create a unique picture. 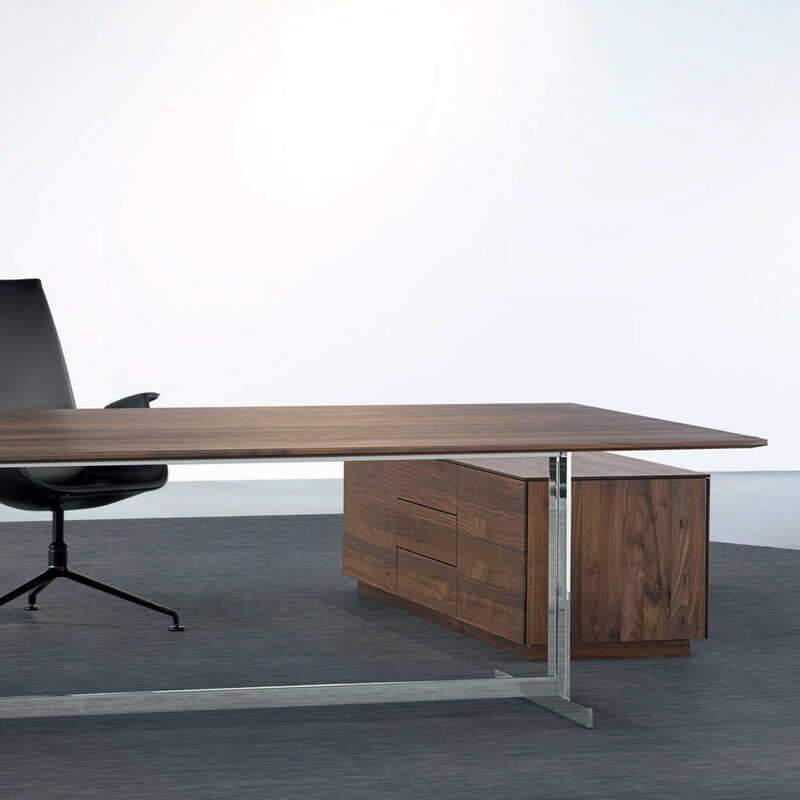 Highboards and sideboards, pedestals and conference tables complete the range. 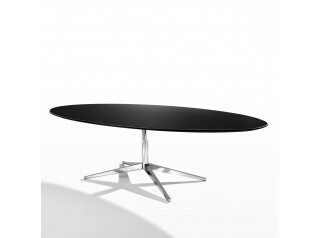 See more products manufactured by Walter Knoll. 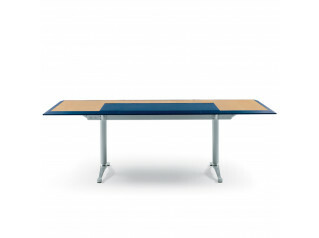 You are requesting a price for the "Mason Desk"
To create a new project and add "Mason Desk" to it please click the button below. 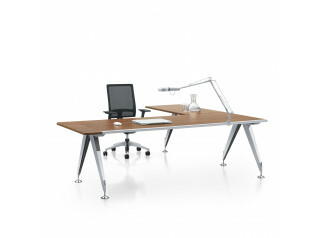 To add "Mason Desk" to an existing project please select below.